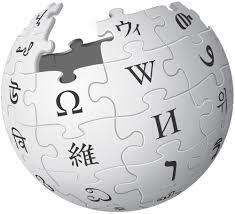 There are a massive 17 million articles on Wikipedia, with the number increasing everyday. There are 262 different language versions of the website, although the English, German and French versions have the most articles. Of the 17 million articles, 3.5 million of them are written in the English language. On 9 September 2007, the English version of Wikipedia surpassed two million articles. It made it the largest encyclopaedia ever put together and took the record from the Yongle encyclopaedia, which had held it for 600 years. Wikipedia claims to have roughly 325 million readers, meaning there are 21 users to every article on the website. There have to date been over one billion edits on Wikipedia, again with the number growing all the time – and being positively encouraged by founder Jimmy Wales. The birthday committee exists to wish happy birthday to Wikipedians who list their birthday on their talk page, or on the list of Wikimedians by birthday. The committee’s homepage offers a number of banners that can be used to wish a Wikipedian a happy birthday, including one in the dreaded Comic Sans. In 2006 the users of Wikipedia who edited the site were named as Time Magazine’s Person of the Year. The servers for Wikipedia are hosted in Florida, therefore content on the site is subject to the US state’s laws. Many of us may go straight to Wikiepdia.org, however 50 per cent of the website’s traffic actually comes from Google. English, German and French are the three most popular languages, unsurprisingly, but the Catalan Wikipedia — which has just 13 million speakers — is more than twice as popular than the Indonesian Wikipedia, which has 165 million speakers worldwide. The list of Wikipedia articles per population expands on this further.